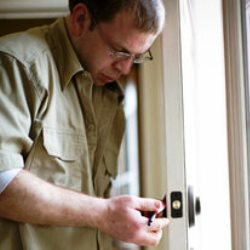 King Locksmiths is your top provider for Lock Rekey North Bethesda and surrounding towns. Our locks will always be a very significant aspect of everyone’s lives and perhaps one that a number of people forget until something goes wrong. This is why it is important to find professional North Bethesda Maryland assistance for re-keying because you need help from a trusted, reliable and experienced locksmith North Bethesda when you find out that the your keys to a lock are lost, stolen or in the wrong hands. Our skill to rekey locks takes a professional approach, talent and training. The reason is due to the sensitive nature of a lock rekey. You need to be able to have faith in the company that changes functions of your various locks. With King Locksmiths Maryland you can and will be safe and secure in having the knowledge that the lock re-key project will be performed properly and that our technicians are highly trained and experienced. Often times, lock rekeying is a requirement after burglary occurs in a business or home. We understand that waiting is not an option. One of our expert professionals will be sent out to you to rekey the locks promptly. If we need to rekey locks in North Bethesda or in a nearby area, we will be there promptly. In addition, we can provide you with information on the best theft preventative locks available to you. If we can make your business or home safer because of the lock rekey, we will. Before we complete the job, we will make sure that you feel safe and that you are satisfied with our lock rekeying. 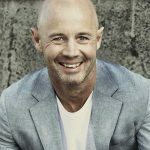 When you are the owner or manager of a business, protecting the assets of the business is always a top priority. There are instances when your business’s security may be breached due to keys falling into the wrong hands. Maybe a former employee will keep his or her keys, or someone else’s keys were taken. These instances necessitate that your locks be rekeyed to keep your property and assets safe. In some cases an office lock rekey can be performed to make changes to the way a master key system works and who is allowed access to that area. Our Commercial Locksmith North Bethesda MD team has been known to rekey some file cabinets and mailboxes due to misplaced keys. Whatever your commercial rekey needs may be, we are here to assist you 24/7. We certainly understand how important your business is to you and this is why we offer complete Commercial or Business Locksmith North Bethesda services for all businesses in the surrounding districts. 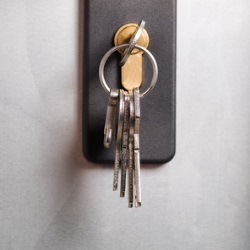 All of our residential locksmith technicians not only rekey locks in North Bethesda in case of an emergency, we can also offer rekeying services for our new homeowners and renters. We re-key locks for apartment building owners, landlords when their tenants move out and new homeowners. We provide outstanding Maryland Residential Locksmith Services and our Locksmith Bethesda Pros are renowned in the area. We always ensure that when lock rekeying is performed, we make use of the best technology available. Our customers have referred us to their family and friends to rekey locks in North Bethesda and the surrounding area. This really is the highest compliment a establishment can obtain. Contact us anytime day or night using the number below or filling out the contact form that is on our website. Whether you need locks rekeyed, Door Replacement North Bethesda MD or you have other locksmith needs, we will provide the best service and guarantee – 100% customer satisfaction. 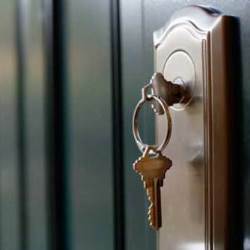 Professional Lock Rekey North Bethesda MD Services https://kinglocksmiths.com/lock-rekey-north-bethesda/ 4.0/5 based upon 7 reviews.